We are very fortunate to live in a City that offers economically booming neighbourhoods and family-friendly communities. In Ottawa, there’s bound to be something for anyone and everyone. In fact, according to MoneySense, Ottawa has been ranked Canada’s Best Place to Live in 2017. Why? Well, aside from being home to one of the most respected tech hubs in Canada, having an extremely low-by-comparison unemployment rate of only 5%, and host to some of the greatest, most talented chefs in the country, Ottawa is a safe and affordable city that hasn’t been caught up in the real estate frenzy that’s afflicted several other cities across our Nation. So just how affordable are the homes in our City? Of course, answers and opinions to this question will no less vary, but for the sake of argument, let’s narrow down our search to what our residents can purchase for around the $400, 000 mark or less. Though the average price for your run-of-the-mill residential freehold home has been increased by 6.9% this year (and will sell for approximately $426,702) the condominium market is what is seemingly taking the real estate world by storm, selling at an average price of $273,926. Sure, you may have to consider the standard payments of varying condo fees, the (perhaps many) adjoining neighbours, the lack of yard space for children and/or pets, and they might take a little longer to find in comparison to your typical residential property, but it could be worth it if you’re looking to save a few dollars. In fact, if you’re looking to find a home that’s relatively central in location, you can find something within the range of $234,355 to $301,266 that varies in size (from a single apartment to a 3-storey condo). On the other hand, if you and your family aren’t the condominium type, there’s nothing for you to worry about. There’s actually something affordable that’s out there for you too. Although it’s been estimated that the cost of home sales have increased year-to-date from last year, you can still find a nice sized split-level home for just over $400,000, a 1 1.2-storey for just over $300,000 and a bungalow for around $390,000. The upsides of opting for a freehold home over a condominium are often more living and yard space, little-to-no added condo fees, and a quiet, suburban neighbourhood that’s safe for a growing family. The City of Ottawa has an abundance of attributes that has certainly helped us to achieve the number two spot in Reader’s Digest’s list of Best Canadian Cities to Raise a Family. 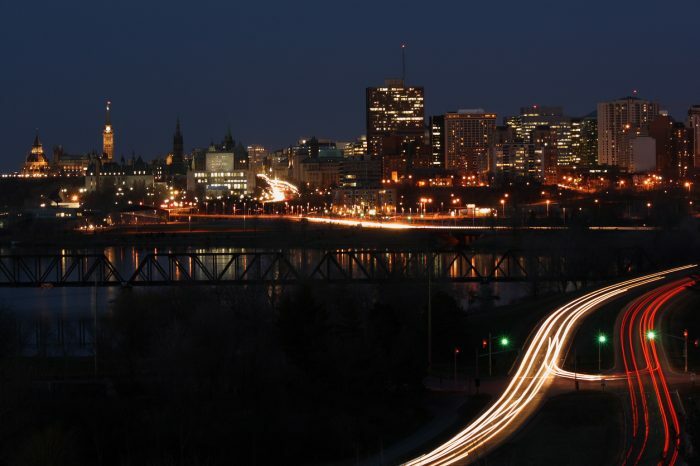 Offering its residents accessible public transit, one of the lowest crime rates in the country, and an affordable range of neighbourhoods to reside in, Ottawa is, without a doubt, a top pick among many Canadians. The post Purchasing a Home in Canada’s Best City to Live appeared first on Team Realty.